Filing income tax returns on time are good citizenship and citizen dutifulness. As citizens of our country, we enjoy rights and privileges and we must also fulfill citizen duties. Our constitution lays emphasis on both civil rights and duties. It is the duty of all citizens to pay taxes and file income tax returns on time and it is the duty of the government to establish transparency in taxation and application of public money. If only a small percentage of people pay taxes then public works get hindered. Tax evaders seek to enjoy the benefits at the cost of few and in spite of earning huge amounts, they remain a burden for the society. The Income tax act has been framed on the basis of rights and duties of various entities. The yearly budget announces regular changes in income tax regulations for the overall welfare of the country. 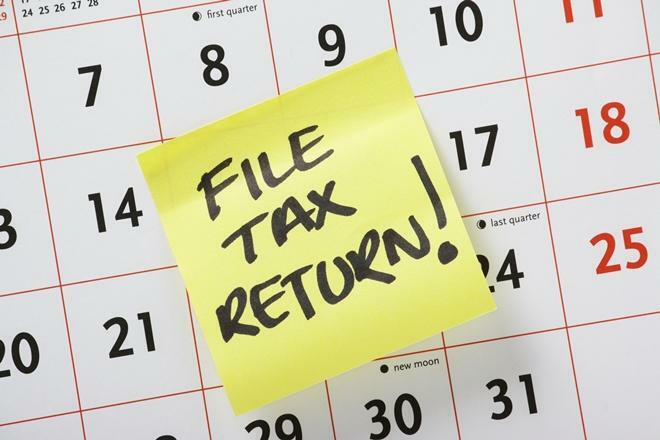 Why Don’t People file Income tax returns on time?There are so many reasons. Some are ignorant and harbor wrong notions while some simply avoid documentation. The IT department has been working to make the tax filing process simpler every year and is taking measures to educate the public regarding Indian tax regulations rationale, motives, and benefits. Now individuals can easily file income tax returns online. Some people feel that since their income doesn’t fall under the taxable bracket they need not bother to file income tax return. This is a misconception. All people having some sort of income or even no income must file their income tax returns. Income is not only from salary or business but also from bank deposits and property rent. While individuals file income tax returns they must fill against the applicable sources of income. The IT department may fine Rs 5000 if you do not file income tax return by end of assessment year that is by March 31 of assessment year even if you have no taxes due more Latest information TodayKos. Many times income tax calculations show refund money and no tax amount at all for people having low taxable income base. The refund money can be due to taxes already deducted at source. So if you don’t file income tax returns you may actually be losing your refund money. The IT department pays back the extra amount taxed as refund as well as interest on refund amounts. The IT department calculates interest on the refund amount from the first day of April of the assessment year till the time of payment of the refund. If you get delayed in filing your income tax return then you would lose interest on your refund amount as the IT department would then calculate interest from the date of your filing your income return till the time of refund payment. If you get delayed in filing your income tax return then you will not be able to carry forward your losses to subsequent year except loss from residential property. Losses in income can be incurred from business, investments besides residential property. This would hold true even if you have paid your taxes on time but did not file income tax return on time. Sites like Movablemark will guide you in regards to financial concern. If you have not paid your taxes on time and file income tax return beyond the due date then you will lose more as the IT department will levy interest at the rate of one percent from the due date of return filing till actual date of return filing. The IT department can take action and send a notice if there is the delay in filing of returns beyond the assessment year-end that is March 31 of assessment year and if unpaid taxes are more than Rs 3000. If you do not have a much complex income sheet, you can file income tax return by yourself online. Of course, prior to that, you should have your own income sheet ready with your calculations. You should know all the exemptions that are applicable in your case. To file income tax return online you would need to create your account on the Income-tax department portal. You can file your returns by accessing your account and filling the applicable ITR form. It is recommended that you check income sheet returned by the portal with your own rough sheet calculations before confirming.